Will Harris carry these rods? Does that price look better with a 30% discount? Good news, per Emma Amis, manager, Harrissportsmail will have the new Sirrus once they are released. Now, I'm waiting to hear what Cameron thinks once he gets back from Wyoming. I almost hope Cameron's review is bad because I have too many rods as it is. But, I'll hope for a great review and start trying to figure out what I may need another rod for. It looks GREAT at that price..... I just went from very interesed to champing at the bit. No offense to Cameron, but I can't remember ever seeing him say a rod was 'just ok'. But in his defense, most newer rods are 'above average' these days. >I'm trying to read between the lines. Cameron mentioned he fished with the 7' 3/4 with a 4wt line one morning in Wyoming. He said good things. He then switched to his Epic 480 after lunch. If he was excited about it, he wouldn't have fished another rod in the afternoon UNLESS he felt the 7' was too short for where he was fishing. I also read BobHa's comments. He didn't seem to like the 805 he tried. I probably should let Cameron speak for himself, but in reading the write ups about his Wyoming trip my take/assumption was that he took a bunch of rods and just wanted rotate them. I know I have a hard time giving all my rods the water time they deserve, and I expect my quiver looks rather sparse compared to his. Unless I'm hiking in, these days I typically fish more than one rod on a given outing - so I can convince myself I'm not a collector and in fact use each rod enough to keep it. Anyway, just an alternate theory/interpretation, but hopefully Cameron will weigh in himself. Of course, let Cameron speak for himself. And yes, I will occasionally change rods after lunch. Unfortunately, I can understand the psychology behind it. I usually don't change unless I felt like I had another rod with me that would be better suited to where I planned to fish. But I understand what was said and there was a time that I switched gear for the reasons WNC stated. Thankfully, I'm not like the bamboo guys I spotted once that wheel their rods out in a golf cart and change rods after every 10-20 casts. According to Cameron's new TFM post about his WY trip, the 7' 3/4 has "a slow and deep loading action". I cast one at Summerfest in the Catskills. My take was the opposite as Cameron's. I that it was a faster taper and needed a 5wt. Circling back to this thread after a few weeks and figured it was a good time to comment. WNCtroutstalker was correct that I took six fly rods on a trip that I was only fishing four days so when the opportunity came to switch fly rods at lunch, I did. I also wanted the guide that I was fishing with to have a chance to cast and compare the Epic 480 (which is one of my most favorite four weights) with the Hardy Sirrus. The Sirrus is a very nice fly rod and I thought that the action was full flexing like the last generation of Hardy glass. Interesting that BobHa's assessment was that it's faster and needed a five weight. I'll have to try a three, four, and five weight on it to see. Bob, did you cast the 7' three weight or the 7'6" four weight? Honestly, casting hopper patterns all day the more progressive (and longer) Epic 480 was likely the better tool though I enjoyed fishing the Sirrus quite a bit. scuddog... Golf cart? Changing fly rods every 10-20 casts? HA... I'm certainly not there yet and hopefully will never be. Pretty sure it was labeled 3/4wt, I asked them what line they had it lined with and the told me the new 4wt TT+ line which is already a half line heavy. Other members cast it there also including Corley and Saltsh. Maybe they will jump in with their thoughts they may differ with mine. Thanks for the update on the Sirrus. I'll have to find and cast a Sirrus myself. As a current owner of a Hardy Test (7.5' 4wt) and former owner of a Hardy Perfection Glass rod, I'd have to say I was hoping the Sirrus might be a little more progressive. It's interesting -- the new rods are S glass, but also "deep loading fly rods" and "perfectly suited to short range presentations on small streams and creeks" (words straight from their website here). I'm finding that I grab my Scott F764-3 these days when I'm hunting fish in Sierra creeks and lakes. Harris sportsmail now has them starting at $290.69. Here is Hardy's promo video about it. I'm glad they decided to go with 3 pieces vs. the 2 pc. of the last series. Weekend only. 33% off ALL Hardy gear at Harrissportsmail. That's means Sirrus glass rods are starting at $233.88 USD for the 6' 2wt/ 3wt. What is the warranty for these rods? Am I missing it? is it a lifetime warranty? Are these rods made in Korea? Lifetime warranty for original owner. $75 handling fee. I wish they had downlocking seats. Hate those sliding bands. Jacks up your reel foot. Therefore depreciates your reel if you have a nice one. Just my two cents. Any Hardy Sirius buyers yet? I'm very curious about them considering the price. Is there are any owners? What line do you use, from high or low number? There is only one review yet, in Hatch magazine. I believe they have the Sirrus rods in stock Bears Den as I was looking at them Saturday and they do ship overseas. 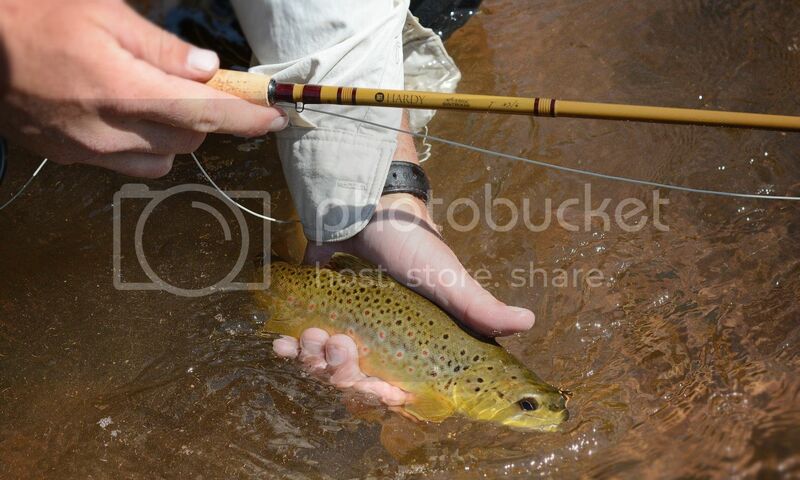 I hope to go back and cast one of the 7'6" 4wts along side the Orvis to compare the two. www.harrissportsmail.com has them listed and at 25% off retail.